It is no secret that auto mechanics have a ton of tools. Some mechanics keep tools in a standard tool box. 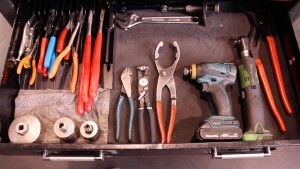 Others keep their tools in a mix of tool box and roll cart. I personally love using a roll cart or roll kart as I prefer. It gives great flexibility, and mobility. This is how I personally have set up my kart. It is a setup I have had for years and years. That does not mean I am saying other ways are wrong, or my way is better. This is what works for me. If there is a brand of tool I use that you don’t like, that is cool. Feel free to share your thoughts in the comments below. Trouble viewing? Watch “What’s In A VW Mechanic’s Tool Cart” on YouTube. Did I miss anything? 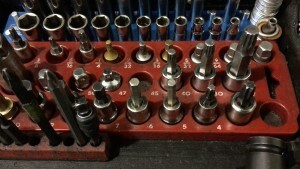 Have a question on tools? As always, your questions and comments are welcome. Please post them below. 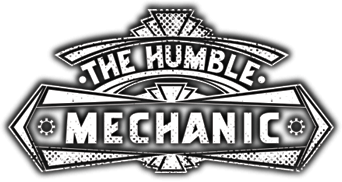 If you would like to suggest a show like this, email me Charles(at)HumbleMechanic(dot)com.